Patanjali is the sage who lived about 2000 years ago and of whom we know rather little. He compiled with excellent detail and a handful of words (196 sentences) the Yoga Sutras of Patanjali. The Sutras are divided into four chapters. The first chapter deals with very advanced yogis who can attain the goal of yoga (stopping the projections of the mind) at once. That is not my case and most people’s case. So for people who cannot fly into the goal and reach eternal peace while being rooted in the crest of the present, there is chapter two and three. In chapter two he explains the eight limbs of yoga or ASHTANGA (Ashto=8, Anga=limbs). The eight steps or limbs work as a ladder which we can use to climb into the state of yoga. We purify the body and our actions with the first four and then access higher states of inner concentration with the last four so that we can be liberated. A yogi that attains the goal of yoga becomes completely detached and un-interested in the world. Nothing disturbs her, not even death. She abides in peace and has tremendous discrimination, all delusions end. See here for 7 signs that you are a realized yogi. For more on that see: Where oh where does Patanjali say anything about Vinyasa in the Yoga Sutras? So, in brief: Ashtanga refers to the system of eight limbs that dedicated yogis will learn about and follow on their quest to reach the state of yoga, or liberation. Vinyasa is the art, one could say, of utilizing the breath, in deep and smooth ways, as in the “hissing of a serpent” (as Krishnamacharya puts it in his book Yoga Makaranda (honey)) while practicing the asanas or poses of yoga. Vinyasa is also the way in which we enter each pose and come out of it, or as Desikachar would tell us in his book “Health Healing and Beyond”, the process by which the teacher receives the student at the door, takes it to the studio, teaches and then sees the student out to the door again”, the steps we take. For more on that see comment below on Richard Freeman’s talk. ASHTANGA: Sri K Pattabhi Jois coined his style ASHTANGA. His institute, the “Ashtanga Yoga Research Institute” is located in Mysore India, and the way the system is taught is also called “Mysore”. The starting point is asanas or poses as this ends the delusions of the mind quickly, coupled with the codes of conduct of the first two limbs of yoga, the yamas and niyamas. There are 6 series of asanas that grow in difficulty. The poses are done by breathing deeply and with a strict count, no breath or movement is left to chance. The series are taught individually in a setting where students come to class at their own time and practice their own series or to wherever they are. Teachers come around and adjust students depending on their own individual level. New poses are given only when the student has mastered what she or he already has. The poses are practiced using bandhas (internal locks) the hissing of the serpent type of breath and specific looking points (hand, alongside the nose, side etc). Jois has taught students that the yoga Korunta (a book in which he based his system but that was unfortunatelly eaten by ants, or so we are told, with no copy left behind) it says “Oh yogi, do not do yoga without vinyasa”. Once a week there are “led classes” where the teacher leads by counting in and giving the names of the poses in sanskrit. This is a way to help students learn the proper count. 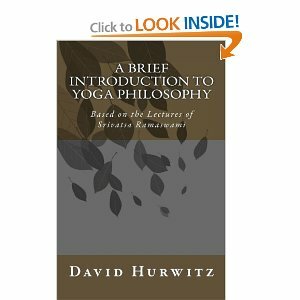 VINYASA yoga was popularized by Srivatsa Ramaswami a living yoga master and student of Krishnamacharya for a long time, in his book “The Complete Book of Vinyasa Yoga”. It also has series, although these are called routines. It is done at a much slower pace than Ashtanga yoga and including small resting -corpse pose- when one gets winded or out of breath. The breathing component is of course key and done in a deep way, with sound. The practices are more integrative than those of Ashtanga as each practice will not only include asana or poses but also pranayama (breathing extension exercises), pratyahara (sense withdrawal) and concentration on one point with singing of mantra. See here for the weekend workshop I recently took with Ramaswami, and here for a session of Vinyasa Krama in photographs. You can also of course visit Grimmly’s blog who is an adept student of this tradition (together with Ashtanga), and visit Ramaswami’s page. ASHTANGA in general tends to keep to the tradition fairly well and teach Mysore programs with one led class per week. Instructors in most cases tend to be authorized or certified by India (Ashtanga Yoga Research Institute) and stick to the traditional way of teaching it. In these rooms you can expect to go and find all practitioners already going for their own practices. A teacher will show you the beginning of the first series and you will start from there. He or She will add poses as you become comfortable with the series and can breathe well in the poses you already have. You will have your own practice from day one and build from there. It is a vigorous style of yoga that demands focus and dedication, it is practiced 6 times a week with rest on Saturdays and moon days. See 21 Things I Wish I Knew Before I Started Practicing Ashtanga Yoga. VINYASA. I cannot speak for all vinyasa classes given in the country, but the term vinyasa has been used in context that differ greatly from the original, there is vinyasa flow, flow, trance, etc, and other terms of the kind. Vinyasa in America is more associated with a practice that flows and never stops with breathing, but studios tend to add things to it, like music for example, and turn it into a bit more of a scene that draws the mind out rather than in. This is not a criticism just an observation. Also in Vinyasa classes as taught in America the instructors create the sequences that are to be taught rather than follow pre-established methods or routines, meaning that one cannot tell in advance what to expect. As I said, this is to the level of my understanding, the rabbit hole gets much deeper and for those of you interested in yoga this is just the tip of the iceberg, there is a lot more to be discovered. 8 Responses to What is the Difference Between Vinyasa and Ashtanga Yoga? Great summary of Freeman&#39;s audio. <a href="http://www.sapiasia.com/&quot; rel="nofollow">Study Abroad India</a> with the best-in-class edu tour operators in India. SAPI Asia has now conducted 157 tours and along the way it has educated more than 1000 expatriates the classical courses Indian courses in Ayurveda, Yoga and other Service Learning Modules. Get in touch with us today to explore the myriad facets on Indian cultures. Brian I am not sure of the full answer to that question, will try to find out.